It was supposed to be the closing ceremony yet, the moment off-duty players joined the squad, an eerie appearance of players limping around must have crossed majority’s mind. News conference reporters have had a lot of fun time triggering mockery-stamped excuses from Mourinho. They are a fun to watch they tell you. Granted, the Portuguese can sometimes make life hard for himself with that ever razor blade mouth of his that fights tooth and nail to divert his team’s performance away from the press. If he is not talking about his favourite subject of referees, he is taking a dig at rival managers’ nerves in an endless bid to hit it as hard as possible, make them loose concentration of their respective teams. 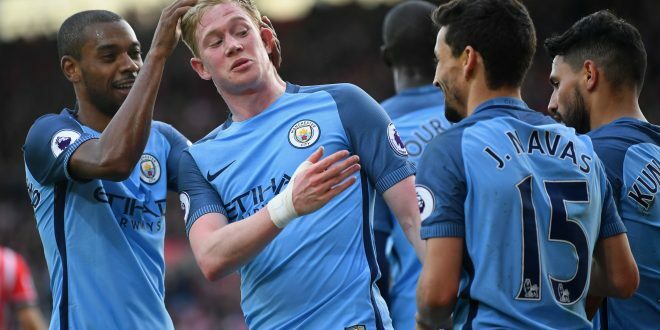 The Manchester derby on Thursday would see a depleted number of soccer stars in action as both teams have several injured players. United summer signing Paul Pogba has joined the list of players that would be missing in action, according to reports. The French star was expected to play a dominant role as fellow summer addition Zlatan Ibrahimovic picked up a long term injury in a Europa League clash. He joins the host of stars on the sidelines for the game. Juan Mata, Chris Smalling, Marcos Rojo and Phil Jones remain injured but Antonio Valencia and Ander Herrera are fit to play. Former United striker Louis Saha has said that the club would miss the pair of Henrikh Mkhitaryan and Michael Carrick ahead of their EFL Cup final clash with Southampton. Manchester United enjoyed a narrow win over St Etienne but they left with the two players in doubt for the final on Sunday as they limped from the pitch. Whilst he believes that the team would be able to survive the absence of the players, he adds that the team would surely miss their impact. “It will definitely make a difference because they are two important players in terms of getting the right balance between attack and defense. But United show they are still very capable of finding solutions and the actual strength of the team is balance, it’s a really balanced team now,” Saha said ahead of the duel. Manchester United coach Jose Mourinho is set to get busy in the transfer market when the window opens in January, according to reports. Several out-of-favour players are set to seek new employers and the Portuguese tactician is poised not to stand in the way of any of such players. Manchester United came away from the 4-0 thrashing at the hands of Chelsea much worse than expected. Apart from losing defender Eric Bailly to a major injury, it is also learnt that Chris Smalling has also suffered an injury that will keep him out for a couple of games. As a result, Mourinho had no other option but to utilise the centre back pairing of Daley Blind and Marcos Rojo. The latter has not had much of a look in under José Mourinho this season. However, the Argentine performed with grace and managed to help United keep their first clean sheet in three games. 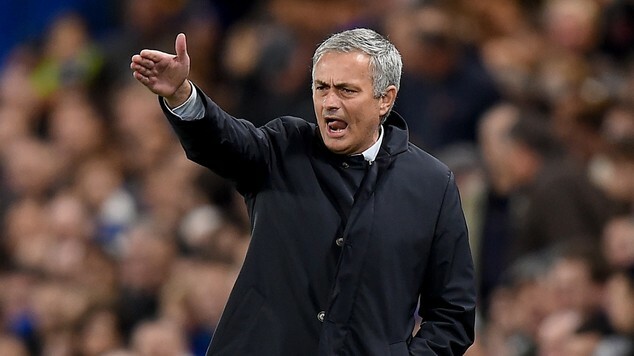 Manchester United boss Jose Mourinho is clearly not happy with the timing of the Manchester derby. This would be his first experience of the Manchester derby and it would also pit him against Pep Guardiola, who is seen as one of his fiercest rivals in the world of management. Guardiola has come up against Mourinho on numerous occasions but the Portuguese has failed to get the better statistics. The only occasion when the Portuguese managed to comfortably overcome Guardiola was during his regime at Inter Milan. Even then, it took one of the best defensive displays in recent memory to come out successful. As a result, all the eyes of the world will be up on the Manchester derby next weekend. Both teams will have a difficult time preparing for this encounter since a majority of their players will be away on international duty. The international weekend in the month of September is widely despised by many of the managers. This time around, though, most of the games involving international teams are extremely important World Cup 2018 qualifiers and not just meaningless friendly matches. 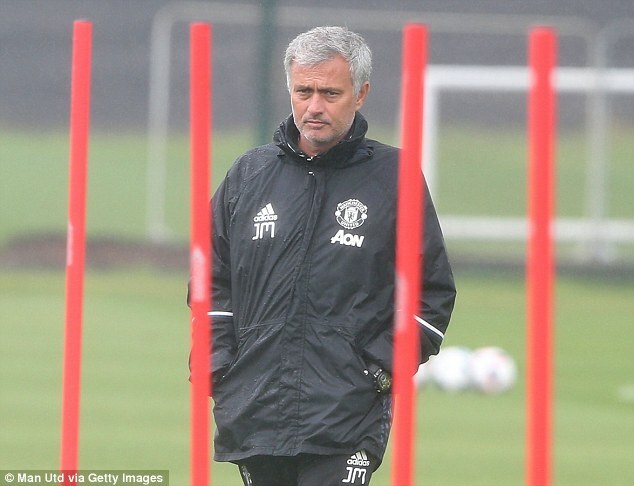 Even then, Mourinho is unhappy with the timing of the international break and the Manchester derby. He says that this will significantly affect his team’s preparations. Following the victory in the Manchester derby, the hopes of Manchester United has been raised as the team is just a point away from Champions League qualification. After the International break, Manchester United resume against Everton in the English Premier league. The match proves to be one of the biggest tests for Louis Van Gaal. The victory against Liverpool, Arsenal and recently Manchester city has transformed the poor run the red Devils started with. However, with the wins, the results that followed blemished it. After the victory against The Reds, they lost to Southampton. After the win against Arsenal, the red Devils lost again against West Brom. This match against Everton is a must win to keep the UEFA champions league qualification hopes alive. Louis van Gaal has faced a lot of criticism at Manchester United for using a 3-5-2 system when it is clearly evident over the last six months that the players are comfortable playing with four at the back.